It seems that Mr. du Maurier must have tasted a ripe Georgia peach! My state is famous for its Georgia peaches. 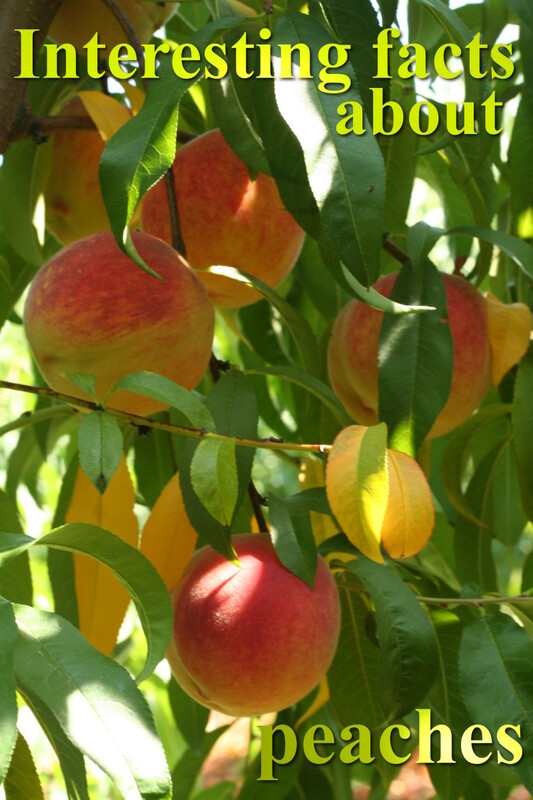 In fact, as most of you probably know, my state is known as the “Peach State.” Our climate and soils are perfect for producing sweet, juicy fruits with loads of flavor. A Georgian can tell if a peach is fully ripe with just one little nibble – the sweet juice should run down your chin. Oh, and by the way, other states grow peaches, too. Of course, Georgia peaches are the best. Eat a peach! Not only are peaches delicious – they’re healthy, too. They’re practically fat free, and they’re good sources of vitamin A, vitamin C, vitamin E, vitamin K, niacin, potassium, copper, and dietary fiber. A medium peach has less than 70 calories, which is a real bargain, calorically speaking. Below are some of the most popular types of peaches. I've also included peach season for the peach varieties. Camden – a clingstone peach of medium firmness. Harvested in mid-May. Goldprince – a clingstone peach that’s very firm. Harvested in late May- early June. Flordaking – a soft clingstone peach that’s harvested from late May through early June. Candor – a semi-freestone peach that’s usually ready in mid-May. It has a medium-firm texture. Redhaven – a semi-freestone peach with a firm texture. Harvest begins in mid-June. Summerprince – another semi-free variety with a firm texture. Peach season for Summerprince begins in mid-late June. Juneprince – a semi-freestone peach that’s very firm. As the name implies, it’s harvested in early June. 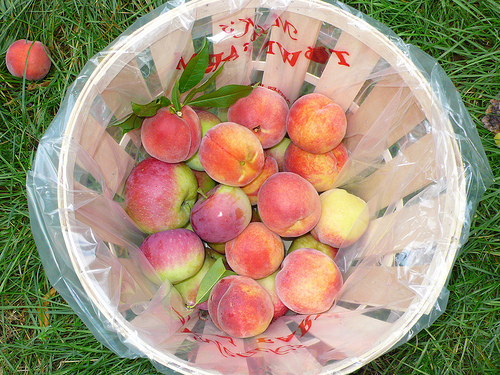 Encore – a medium-firm freestone peach that’s harvested in late July. Redglobe – a firm freestone variety. Harvest usually begins in late June. Majestic – a freestone peach with a firm texture. Peach season is in late June - early July. Flameprince – a freestone variety. This firm peach is harvested in early August. Suwanee – a medium-soft freestone variety. Harvest usually begins in mid-June. Tyler –a freestone peach with a medium-firm texture. It’s usually harvested in late July-early August. 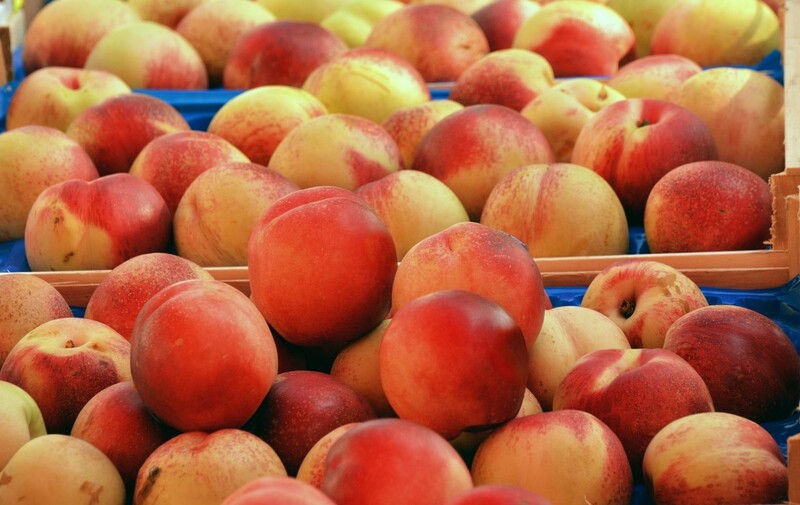 You can find peaches in grocery stores, at roadside stands, and at farmers’ markets. The best way to get your peaches, however, is to harvest them yourself at a pick-you-own orchard. If you plan to use the peaches for jams, preserves, jellies, and pickles, you’ll probably want the clingstone varieties. Most people prefer this type for preserving in these ways. For eating, freezing, and making pies, choose the freestone varieties. The semi-freestone can be used for all purposes, but they’ll require a little more work than the freestone fruits. Don’t rely on color alone to check for ripeness. Fully ripened peaches will have a delightful aroma. Choose fruits that give a little when you hold them firmly in your hand. If the peach is green around the stem, it’s not ripe. Also, the skin should be completely filled out and the crease should be deep. If the skin is wrinkled, the peach is past its prime. 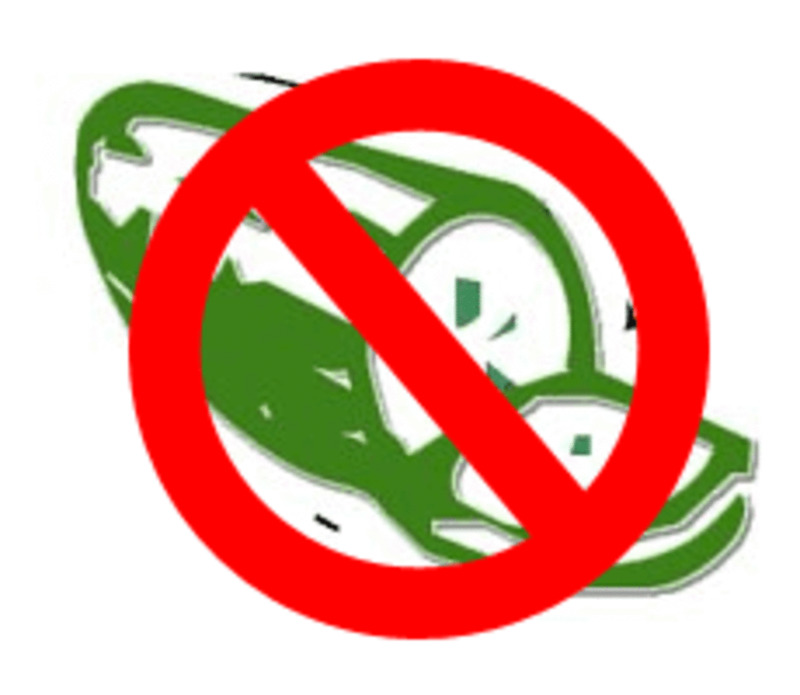 Be sure to check for worm holes and blemishes, too. If you’re picking your own peaches from an orchard, pick those that separate easily from the tree. If it doesn’t want to let go, it isn’t ripe. Also, pull the fruits with equal pressure on both sides. Don’t dig your fingertips into the flesh – you’ll cause bruising. Don’t pile your peaches deeply into buckets, either, or those on the bottom will be bruised from the weight of their companions on top. Peaches should be stacked only 12-14 inches deep. If you discover that the peaches you bought aren’t ripe enough, leave them at room temperature for a couple of days to soften. You can hasten this process by wrapping each peach in newspaper. 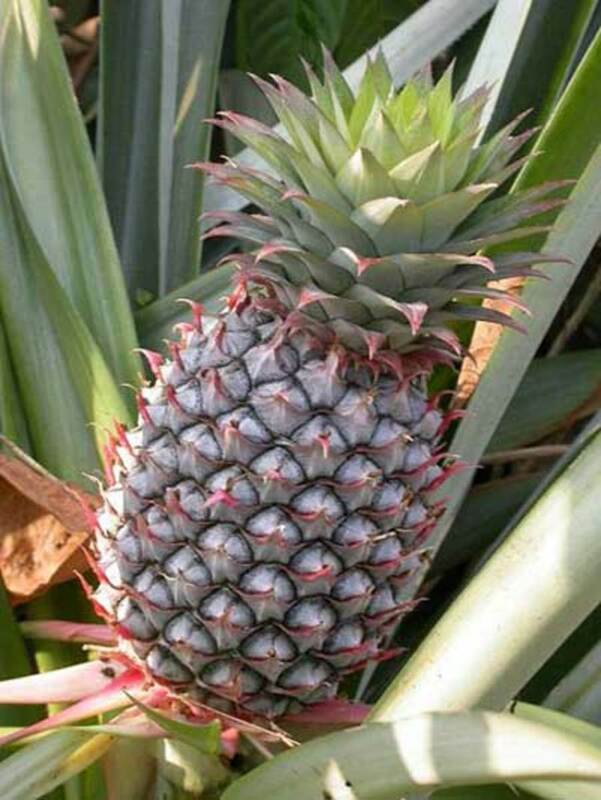 This traps the gas emitted by the fruits that cause ripening, which will help soften the fruits. With peaches, however, if they weren’t ripe when picked, they’ll never get any riper. They’ll get softer, but not riper. Once your peaches are soft, store them in your refrigerator crisper for up to five days. To keep peaches longer, freeze them. They must be frozen in liquid to avoid freezer burn and to maintain taste. The liquid is up to you. You can use apple juice, white grape juice, peach juice, pear juice, or a sugar syrup. To make the syrup, heat six cups of water with sugar or Splenda until completely dissolved. For a light syrup, use two cups of sugar. For a medium syrup, use three cups of sugar, and for a sweet syrup, use four cups of sugar. Once the sugar has dissolved, let the syrup cool. Next, you’ll need to peel your peaches, and this is easy to do. 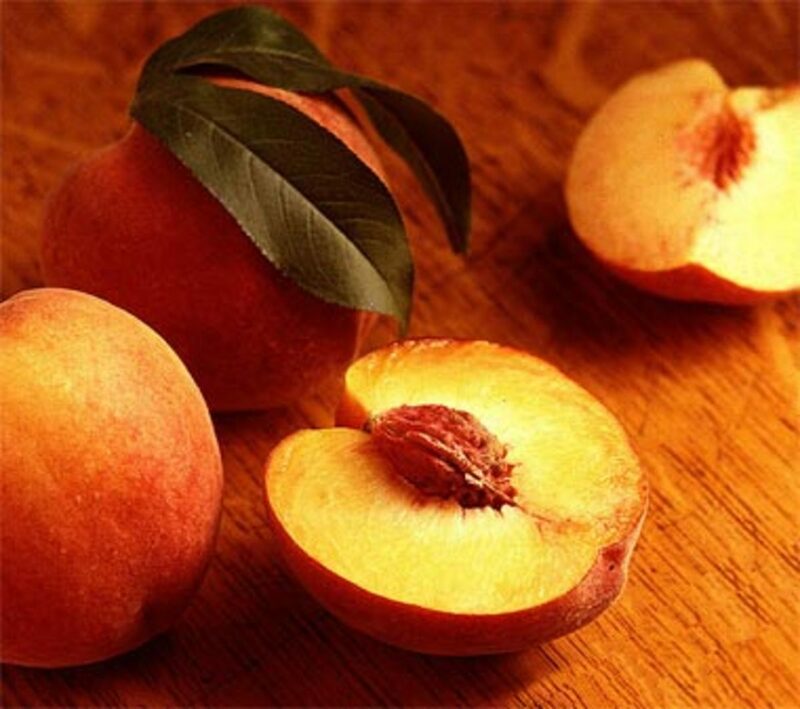 Just drop the washed peaches in boiling water for 30-45 seconds, depending on the size of the peaches. Remove the peaches from their bath with a pierced spoon and place them in an ice-water bath for 3-5 minutes. The skins will slip off easily! Slice the peaches and place them in a bowl. 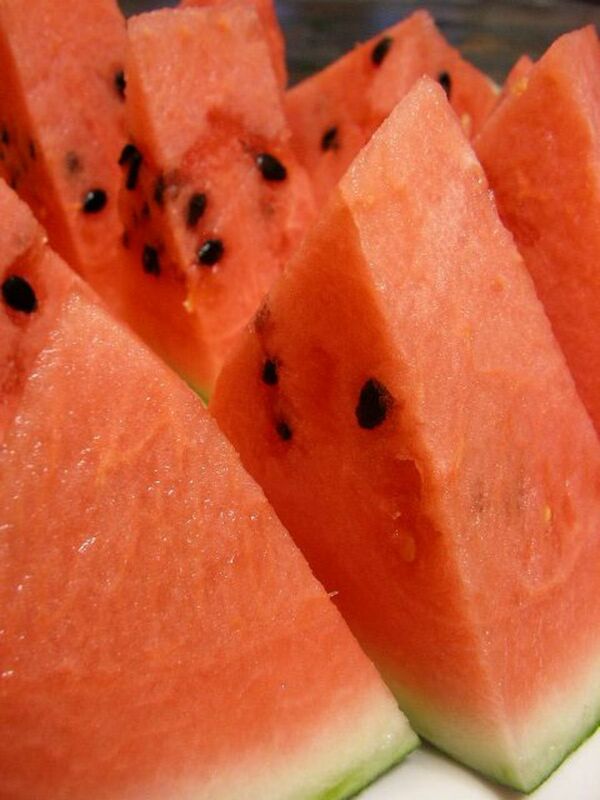 Sprinkle the slices with lemon juice or Fruit Fresh to prevent browning. Stir gently. Next, place the desired amount of peaches into freezer boxes or bags and cover with syrup solution. Remove any air from the bags and freeze. The peaches will keep for about 10 months in the freezer. For peach recipes, click the links below. Billy, there are lots more varieties! Nancy, you should have great peaches up your way! Eeeewwww, Silver - sounds terrible! Great to see you, Daniel! Eth, I should send you some real GA peaches! Anne, glad you enjoyed the hub! Pam, I've made the preserves, but I much prefer fresh peaches! HH and Jen, you 2 are always welcome here! Greatlife, I'll take peaches over apples any day! Wannab, thanks for that info! Sam, do you like fresh peach ice cream? Hi, Austin! Great to see you! V, I haven't been able to find any really good peaches yet. Sweet story, Sally, and thanks for the compliment! Great hub. I love peaches. My husband planted two peach trees this year. I'm looking forward to the wonderful juicy peaches they will produce. Habee I had no idea there was so many different types of peaches. I will have to take a better look out next time at the grocers. Nothing better than a real juicy peach with breakfast. Thanks for this. I actually knew someone who canned peaches without peeling them, and they were simply terrible! Thank you so much for this great hub, Habee! I absolutely love peaches. We used to go over to Arkansas and pick peaches from the orchard when I was a little girl. Then later on, we planted two trees in our back yard, and we had them for years to come. Thanks for bringing back great memories. Habee, Great article on peaches, which I adore. I make peach preserves occasionally when I can get some peaches at a good price. Incredible how many different varieties there are of peaches, I had no idea! Now we are talking, peaches are my favourite fruit. Thank you for great hub. Wow, the peaches in the bucket look real appealing. Have always loved them more than apples so couldn't agree more with the idiom. Did not know about the various varities would give it a swirl in my next trip to the market. Thanks for this informative hub. This article was informative and the peaches look delicious! Another city that is famous for its peaches is Brigham City, Utah. I love peaches especially when they are in the middle of cobblers and pies. Peaches may be famous in Georgia, but peach cobbler is famous in Texas! But then again, my favorite peach cobbler recipe is from the lady and sons and they're from Georgia. Oh, heck, I guess TX narrowly misses the peach contest and GA wins! Strange, I never knew the best way to peel peaches before. Thanks for the tip! My peach tree will be ready to pick in another few weeks. I did not know there were so many varities of peaches. I just purchased some the other day that were not yet ripe, so I will use the newspaper suggestion. In that you are from Georgia and offer all this great info on peaches, I do think you are a Georgia Peach. Years ago, when I had a summer job while in high school, my boss was from Georgia. When he came back in July from a visit there, I found one gorgeous peach on my desk, complete with fresh stem and leaves, and a note that said, "A Georgia peach for a peach of a girl." Thanks so much for bringing back that beautiful memory.